Human rights funders collect a lot of data about their grantees – as well as the people that their grantees help. 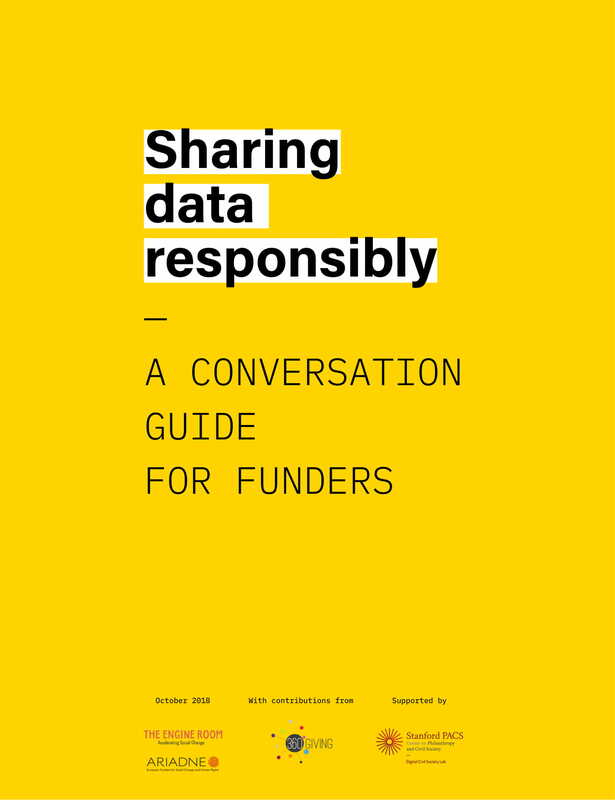 Sharing this data openly can help funders be transparent about their activities and highlight the impact of their grantees’ work. However, it can also increase risks to human rights work if data isn’t collected and managed responsibly. How can funders be transparent about the work they support, while making sure that they aren’t harming grantees or others? This guide is based on research conducted by Ariadne and The Engine Room, with contributions from 360Giving, between March-October 2018. The project was supported by Digital Impact (part of the Digital Civil Society Lab at Stanford University). Download the low-colour version of the guide, which is suitable for printing.